Tired of not finding the clothes you want in stores? Just get it tailored. Icchapuron boutique will help all your ideas come to life. How many times have you browsed a store or flipped through fashion mags, loved an outfit and wished you could get one your size? Give Icchapuron a try. The name literally means “wish granted” and they live up that. Run by Srilata Sen, it’s a hidden gem that has been granting wishes since 2008. From designer blouses to sarees, they make everything from scratch according to your fit. Shubhroja, a NIFT Bombay graduate and Srilata’s daughter, brings her genius to the store. She does Indo-western styles really well – comfort is the most important thing in her dresses. And pockets in dresses, pants or skirts are absolutely essential. And we agree! From kantha to Parsi sarees, dhoti pants to crop tops, there isn’t anything they can’t make. 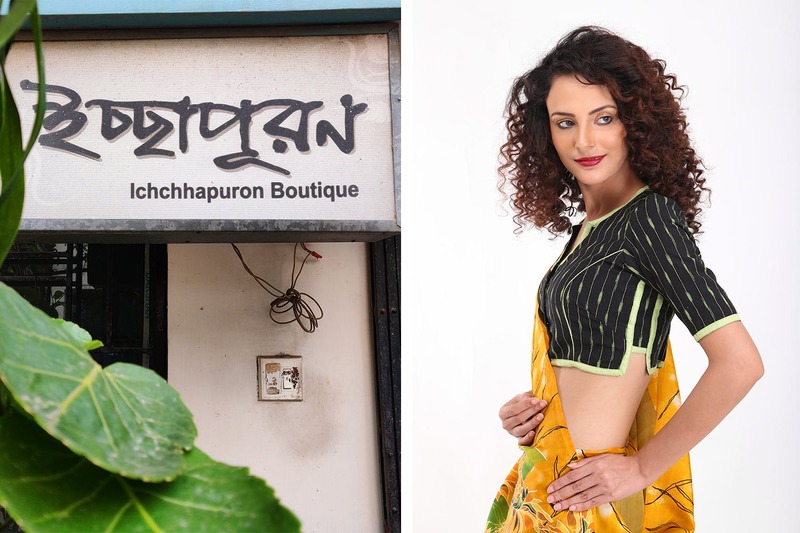 Icchapuron does tailoring for both women and men (kurtas, waistcoats, dhotis and a lot more). Blouses start from INR 976, sarees from INR 1,200. They prefer sticking to the fabrics they have procured from different cities and villages. Along with tailoring clothes, they also stock their own range of sarees, blouses and kurtas. Their website is especially made for gift services, so you can get something made for your loved ones and send it to them. Check their Facebook page here.